Question: Which of the following is TRUE about fixed-price contracts? 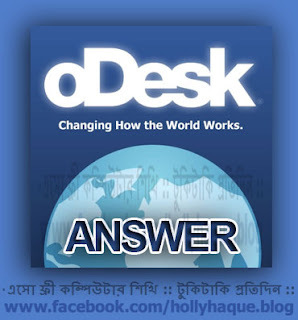 Question: Which of the following statements about oDesk fees is FALSE? Question: Which of the following is FALSE about weekly limits on hourly contracts? Question: Which of the following are TRUE about the oDesk dispute process? Question: Which of the following are TRUE about your oDesk Work Diary? Question: What happens when a contract ends? Question: Can I start my own agency on oDesk? Question: Which of the following are required to qualify for guaranteed payment? Question: Which of the following actions are NOT allowed when applying to job postings? Question: Which of the following are NOT permitted on oDesk?